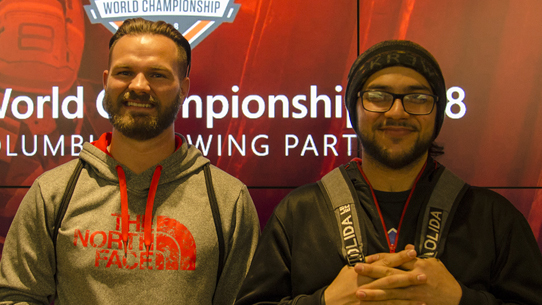 The big 800lb Jiralhanae in the room right now is the impending arrival of the Halo World Championship 2018 Finals, taking place April 13-15 at the Century Link Field Events Center in downtown Seattle, WA. Trust me, even if you aren’t a big-time esports fan or a frequent flyer in the sweaty sweat sections of the Halo multiplayer experience, events like this one are ones that any Halo fan should try and get themselves out to. To get all the details on the big show and what to look for including broadcast details and storylines (including some pulled directly from competitive Halo fans in the Team Beyond community), make sure you check out our official preview by clicking the image below. The competition kicks off on Friday, April 13, and will be streaming live on Mixer.com/Halo, Twitch.tv/Halo, mlg.com/Halo, Twitter and Facebook. Also, back by popular demand is a second stream, with all tournament matches broadcasted in their entirety. Fans taking in the HaloWC 2018 Finals on Mixer will also have the opportunity to snag a special Halo MixPot! 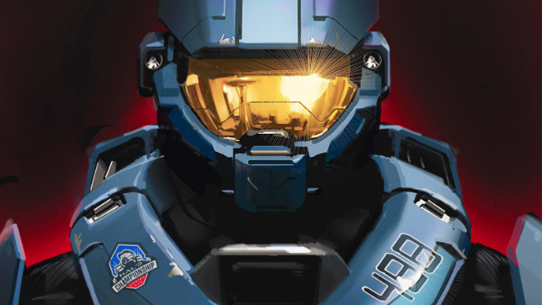 By watching the final matches on Championship Sunday at mixer.com/Halo, you’ll receive the much-beloved Voices of War REQ Pack, letting you add some fun flavor to your Halo 5: Guardians multiplayer experience. In addition, for fans looking to showcase their Halo esports loyalty on the virtual battlefield, this week the HCS REQ Pack is once again available for a limited time in the Halo 5: Guardians in-game store for 80k REQ Points (or real moneyz if you so choose). If you haven’t had the opportunity to score yourself the special Champion-variant of the GEN2 ATHLON Mjolnir armor, now’s your chance. 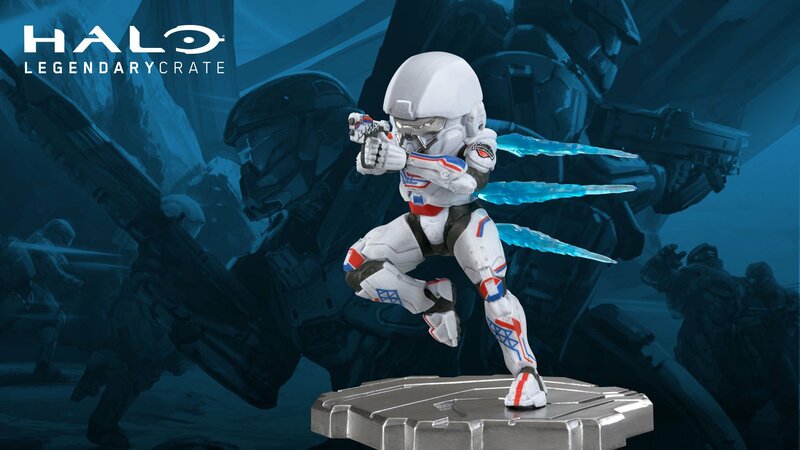 Oh, and speaking of that aforementioned armor, this weekend will totally-coincidentally-enough be your last chance to secure the action-figure version of the competitive carapace, exclusively with the Arena-themed Halo Legendary Crate. Head over to loot.cr/halo to seal the deal. 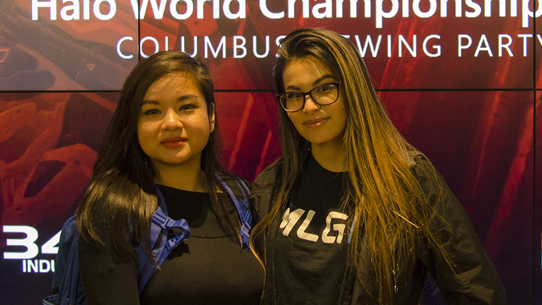 Speaking of awesome community involvement at competitive events, we had an awesome time hanging out with fans in Ohio at the MS Store Viewing Party during the HaloWC 2018 Columbus Finals at the end of last month. 343 folks including ske7ch, Frankie, Bravo, yours truly, and others got to have some really great conversations with everyone in attendance. In addition, the onsite 2v2 tournament gave us some intense community competition all evening long. A field of nearly over twenty doubles teams whittled down over the course of the evening to four final talented tandems. In the semifinals, burniee and Hittn DOMEZ took down DyNaMiC RECs and Complexity JP, while KitchinBound and Papasmurf bested Divinity XVI and Nicolieeee in a scintillating series. 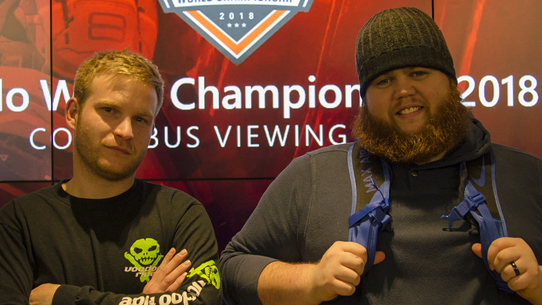 In the end, burniee and Hittn DOMEZ would claim overall victory over KitchinBound and Papasmurf, who had incredibly enough literally just met that evening and decided to pair up to give the tournament a go. 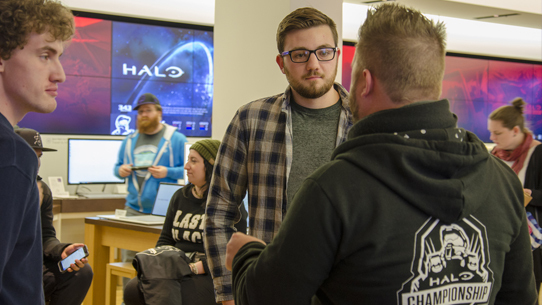 Overall, it was definitely a night to remember, and provided further evidence as to why Halo fans should make sure and hit up their local MS Store locations when similar events pop up! And speaking of which, a special shout out to Tim Gonsalves at the Easton Town Center MS Store for helping spearhead such a great event. A community event isn't complete without awesome conversations and killer cosplay. Last week, we rattled off our second Halo Lore Stream on Mixer. 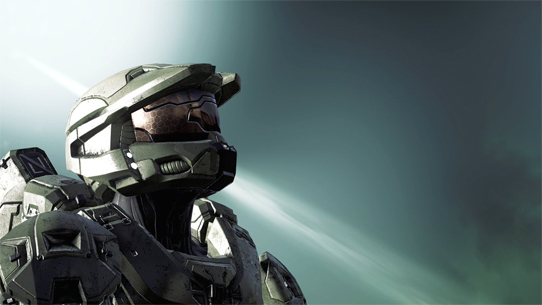 Kenneth Petters joined yours truly to talk shop about the franchise’s most foundational fiction: the Halo Array. We chat about the anatomy of a Halo ring, some history and behind-the-scenes dev talk, monitors, why size matters, and why the modern naming convention makes more sense than you want it to. If you missed it live, you’ll be forgiven if you check it out on VOD in the link below. Enjoy! 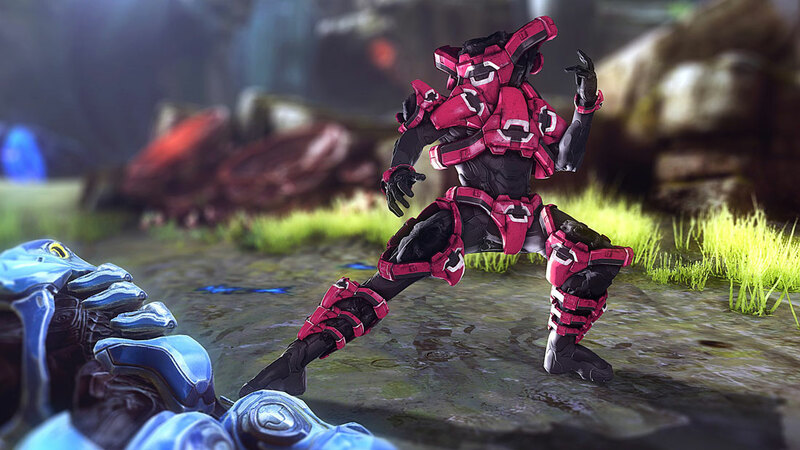 Cause I’m Freeeee… – Starting today and going through Sunday, Halo 5 will be getting the Free Play Days treatment! If you’ve got some friends who’ve been on the fence or just looking for a Halo-filled weekend, let them know they can snag a no-strings-attached experience of Halo’s latest shooty installment. Deal With It – Now through April 16, Xbox’s Spring Add-on Sale features a host of awesome deals on DLC bits and bobs, including Halo Wars 2’s epic array of additional Leaders and story content like Operation: Spearbreaker and the Awakening the Nightmare expansion. Check it out! 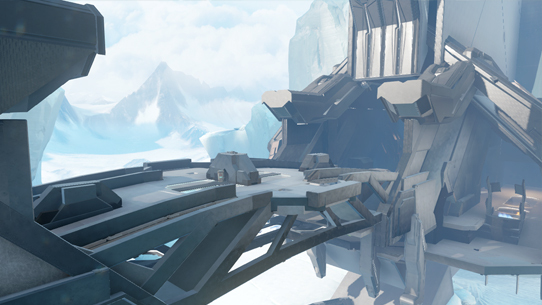 Delicate Balance – In the aftermath of The Yappening, Halo Was 2 saw the actual Season 10 update roll out. You can check out all the latest balance updates and patch notes HERE. Chief for Charity – Feel like grabbing a cool exclusive retro-themed Master Chief shirt and supporting a good cause while you're at it? Check out our tweet below for info on how you can do just that! Hey folks, ske7ch here in the co-pilot seat helping Grim and taking on Spotlight duties for this week's community update. Since Grim is doing the heavy lifting, I've got a bit more time to really dig into the spotlight so break out the umbrellas, it's time to make it rain 343 skins with a monsoon of incredible community creations. Reddit member Lasrig shared an update on this incredible work-in-progress Halo: Reach DMR. 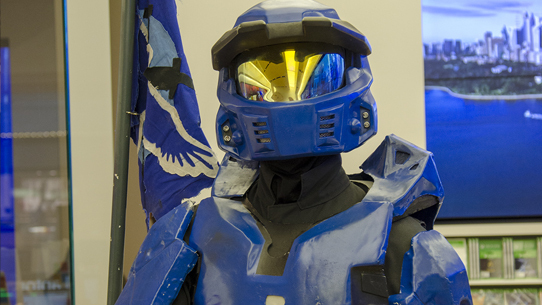 I swear if I didn't know better I'd be calling the cops and reporting a robbery from our official Halo Museum. This is just fantastic work that rivals the official props we have here in the studio. According to Lasrig, this was created using an "Anet a8" and includes a removable magazine, working trigger and bolt action! Erickboo is back with another jaw-dropping piece of Halo art created in MICROSOFT PAINT! As if the art itself wasn't already awesome, dude made this is MS Paint!? Thanks to Brusky0086 on reddit for showcasing this latest aesthetic Forge creation by Towny Dubz. This an impressive recreation of the Red Keep from Game of Thrones including a super accurate map of Westeros on the ground (just like the one show-watchers will recall seeing Cercei scheming over). Speaking of awesome aesthetic Forge creations, check out this perfect scale re-creation of the Titanic by C0naN 0007. Shout out to Brusky and the Halo Spark Forge Network for the spotlight! Now you've got Celine Dion stuck in your head, don't you? 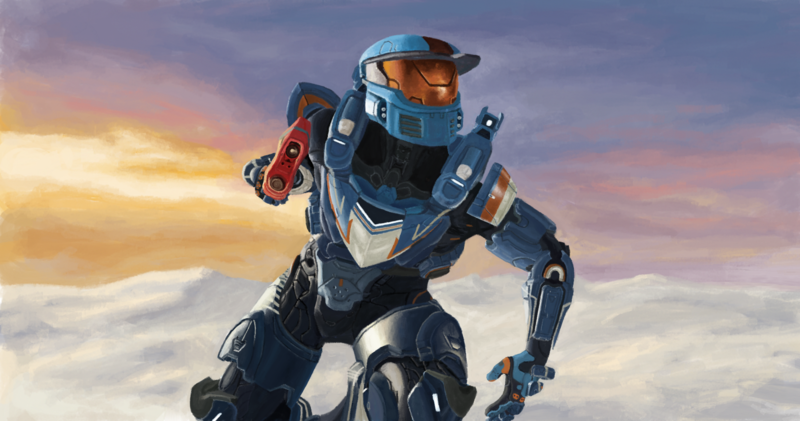 There's never a shortage of fan requests for new armor in Halo whether it be updates to Halo 5 or expanding the offerings across MCC. I've always wondered, "if you the team could add just one more armor, what armor should they add?" Well now, thanks to Wangtimeeee, we know what the community wants. Don't worry, I've made sure to forward this along to the art team. 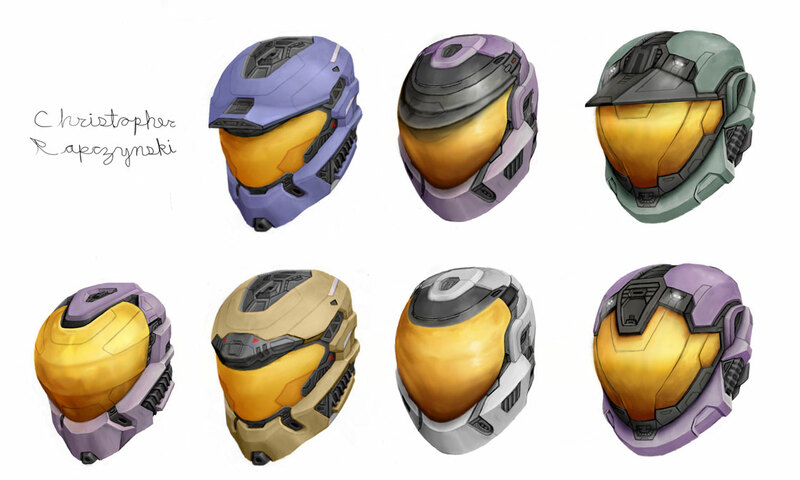 Speaking of MJOLNIR fashions, check out these sweet helmet concepts created by LuigiPunch! If you follow me on Twitter you no doubt know that when I'm not playing Halo, I'm probably playing Fortnite (still waiting on that Drake invite). What would a Halo Battle Rifle look like as a Fortnite weapon? Check out this sweet concept by Plain Ben. SunSearcher shows off some sick European Halo action in this montage. Scifi fan kat shared this awesome family Halo bond that showcases a budding young concept artist in action! HogInfinity coming in strong with this really slick SFM art piece. Love the mood! Speaking of cool SFM art, BaileyJIII is back at it again with this ridiculously rad rendition of Blue Team. TakedownBike has combined two of my very favorite things in this awesome HaloWC livery for Forza Motorsport 7. LOVE. The artist formerly known as Wangtimeeee is back at it again with glorious goodness in preparations for this weekend's festivities. And that will do it for us this week – if you are hanging out with us in Seattle for the HaloWC 2018 Finals, make sure you say hello! 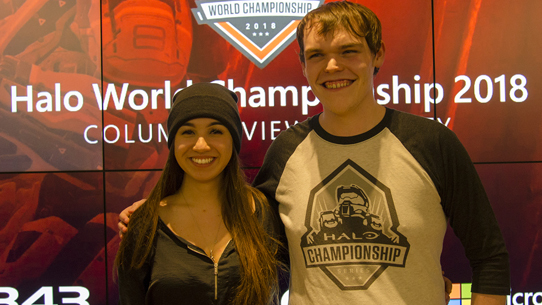 Until next time… Live well, play Halo, and GLHF to all competitors this weekend!